How do I learn about an opening with Macomb County? By using this website. In addition, Human Resources and Labor Relations provides self-service computer kiosks for accessing our web-based job postings and completing online applications. New positions may be posted any day of the workweek. Postings are generally posted for ten (10) working days. You may apply via the Internet from our website by clicking on the job postings link on the Job Opportunities page. If it is the first time you are applying using our online job application, you will need to create an account and select a Username and Password. After your account has been established, you can build an application by clicking on the "Build Job Application" link. This application can be saved and used to apply for more than one job opening. Be sure to read the job postings so that you understand the minimum qualifications required for the jobs. Many job postings also require you to complete a supplemental questionnaire of job-related screening questions. You may submit a resume to enhance your application if desired. It is important to be as complete as possible when filling out the application. Some applications have supplements which must be completed as well. It is not sufficient to indicate “see resume” on the application. Applications will be rejected if not completed thoroughly. When can I apply for a posting? You may submit an online application at any time. If you are applying for a specific posting, you must apply during the posting period. May I apply for more than one posting at a time? Yes, once your application is active, you may apply for as many postings as you wish online. Do I need to submit a new application and resume for every posting I apply for? No, you may reuse a previously completed application template which will reduce the amount of data entry that you need to do. Can I be notified of future postings that may be of interest to me? Yes, you will need to place a check in the box next to each job category for which you would like to receive email notifications, and fill out the required information in the 'Request Job Notification' section, then click the 'Submit Request' button. For the following 12 months after you submit this form, you will receive an email notification each time a position opens with Macomb County whose category matches one of the categories you've chosen. We'll also send you a reminder email in 11 months to give you an opportunity at that time to extend your notifications for another year.  Is there a residency requirement for employment with Macomb County? County residency is not required for application and/or employment with Macomb County. What is acceptable documentation of academic credentials? Acceptable documentation is an official or unofficial transcript (which includes the school name, student's name, degree earned and the date earned) or a copy of your GED, degree, diploma, and license or certification.